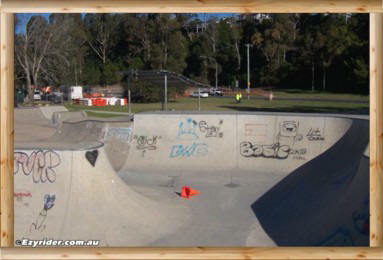 ﻿ Batemans Bay Skate Park & Skate Ramp - Pictures & Information. 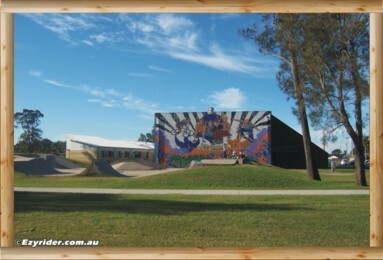 The Skate Park & Skate Ramp, incorporating the Hanging Rock Recreation Reserve, is located just past the Catalina Golf Club on the way to Batehaven. 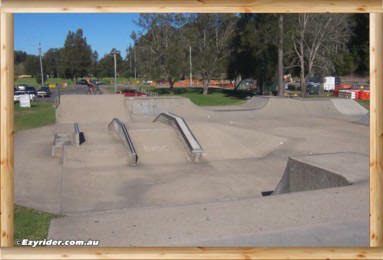 Included in this area is a skate ramp, basketball stadium, local library, University, tennis courts (hire) and sports ovals. 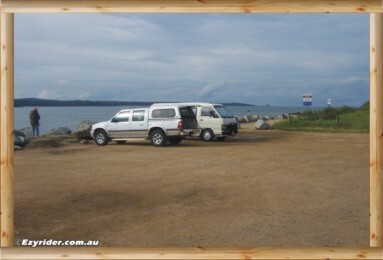 Just further down the road towards the water is a boat ramp with parking and fishing areas and Corrigans Beach. 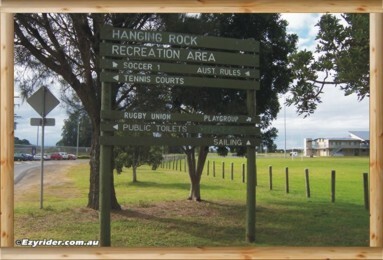 You could hire a bike and ride (or walk) to Batehaven/Batemans Bay from Hanging Rock. 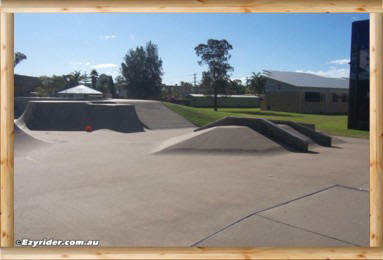 See map park home page. 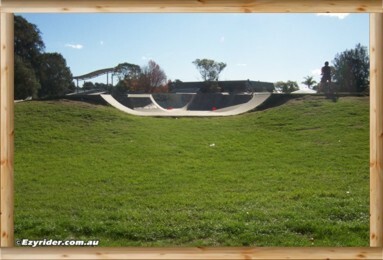 From this Recreation Reserve you could walk to the water, along Corrigans Beach and back again on the walk/bike track - 45 mins. 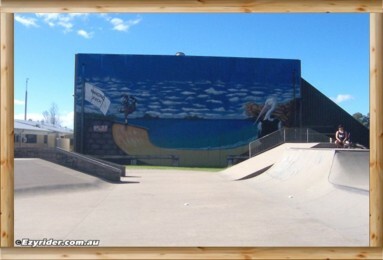 The previous old wall mural on the left and the new present wall mural on the right. 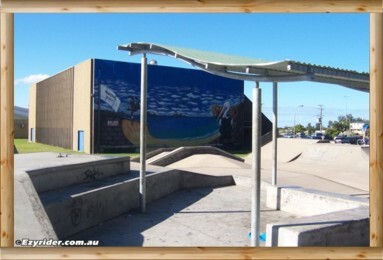 The pictures below were taken in June 2016. 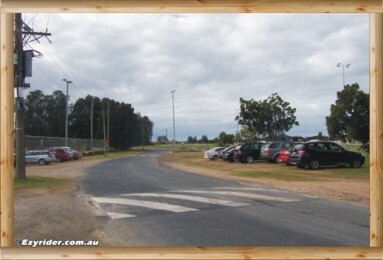 This sign is on your right, with the playing fields on the right, and the car park on your left, as you enter this area. 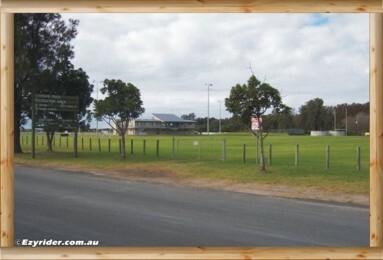 A view of the playing fields on the right. 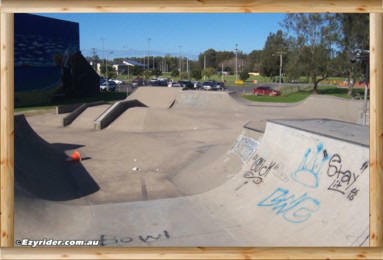 The car park is quite large with the skate park & basketball stadium on the left and the Library, Campus and Tennis Courts in the background. 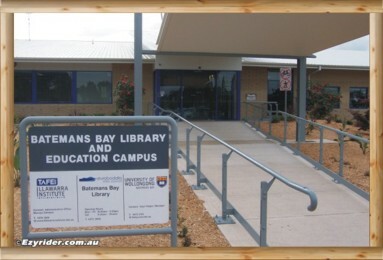 The entrance to the Library and Campus. 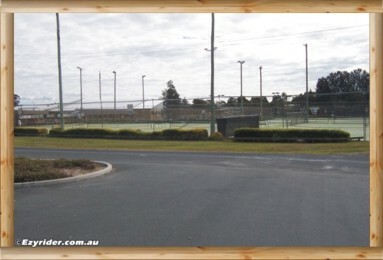 The Tennis Courts are to the right of the Campus. 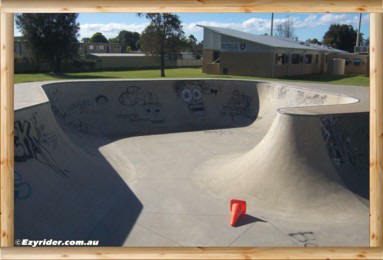 You can hire courts here. 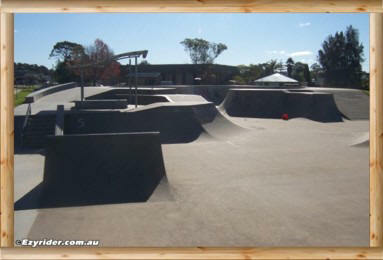 The building has a pro shop and covered seating. 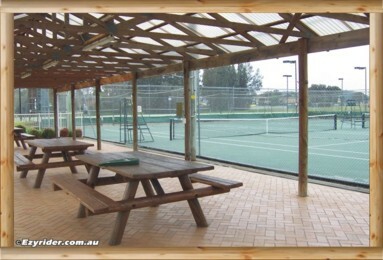 Covered seating and courts in the background. 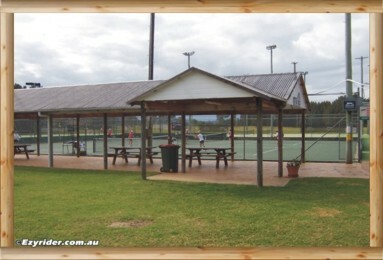 A view of the courts. 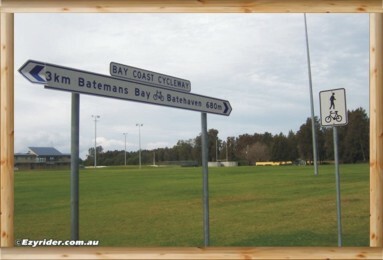 The sign on the walk and cycleway at the entrance of the Rec. 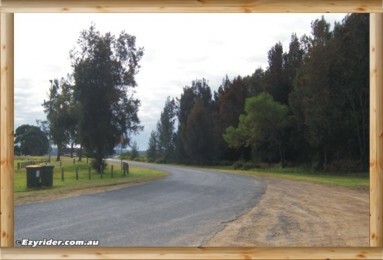 Park, indicating kilometres to town and Batehaven. 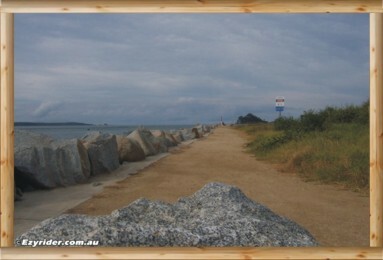 Venturing further away there is a road that leads to the foreshore, boatramp, fishing and walking along Corrigans Beach. 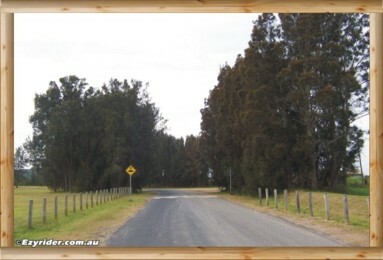 Follow the road through the trees. 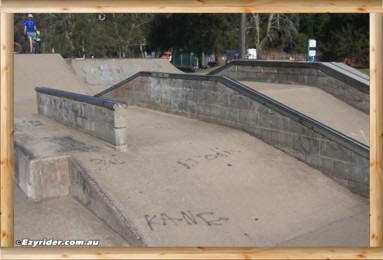 And around the corner. 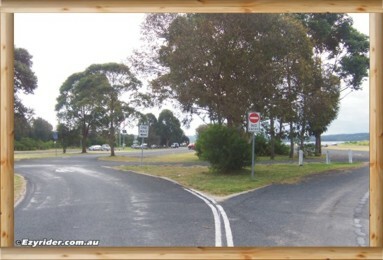 Take the left turn. 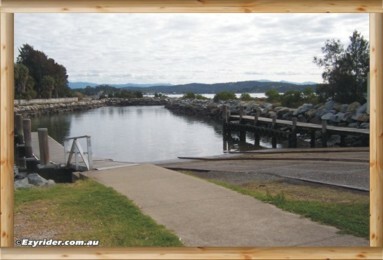 You will see the boat trailer parking on your right. 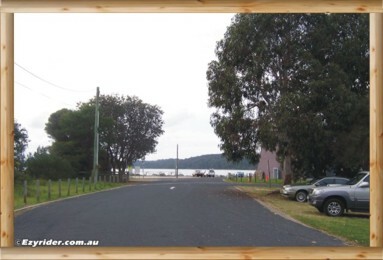 Road leads to the waters edge and parking. 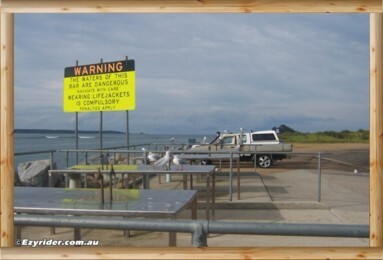 Parking area, fishing spots, and you can see a walkway behind the cars which will lead you to the fishing point and Corrigans Beach. 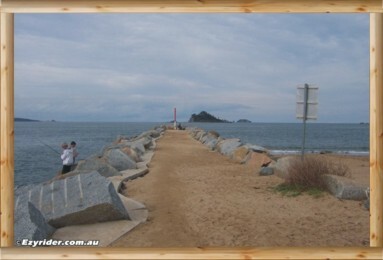 The walkway to the fishing point and Corrigans Beach. 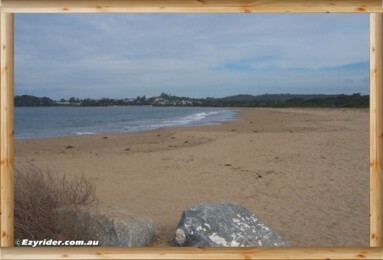 On the left is the fishing spots and on the right of there is Corrigans Beach. 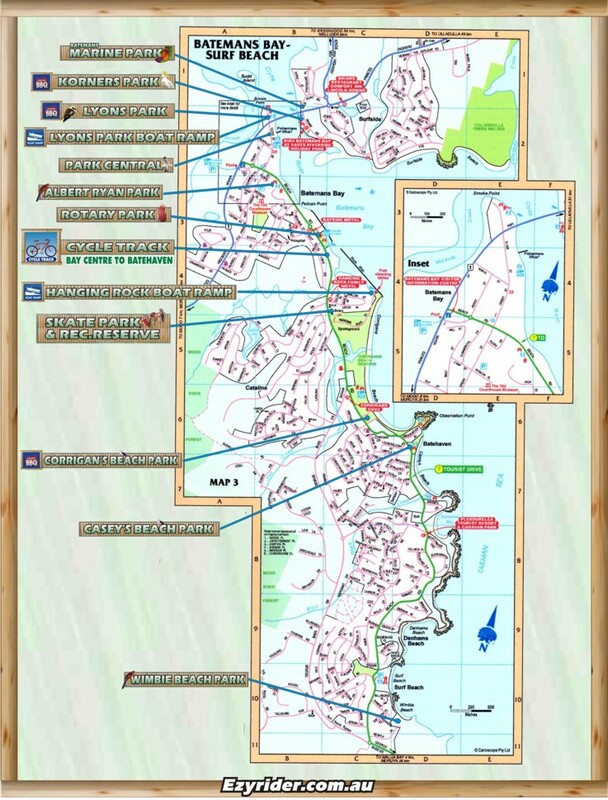 A half hour walk to Batehaven and back. 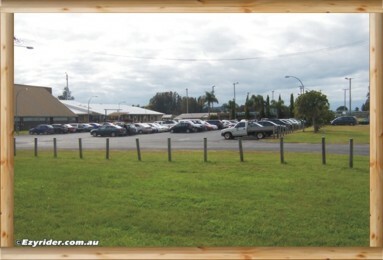 You would have seen the boat ramp on your left as you entered the car park. 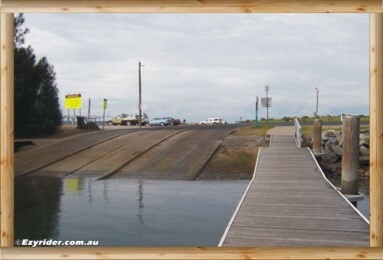 An upward view of the boat ramp. 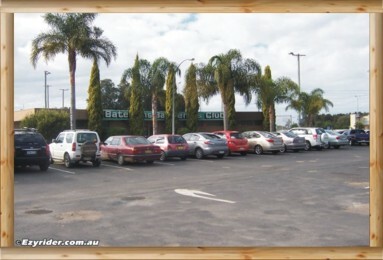 Areas for cleaning your fish with the carpark in the background. 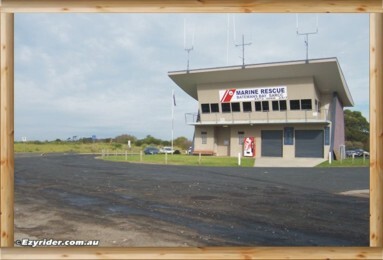 The Batemans Bay Marine Rescue building and organisation is also located here.